Sometimes we need to get rid of the smell of weed, and we need to do it FAST! The best air freshener for weed helps you mask cannabis odor—FAST! There are a lot of sprays out there that claim to eliminate the odor, but will they actually work when you need them to? Today, we're going to talk about why you should always carry air freshener on you, and which air fresheners you can trust to eliminate the smell of weed (and which ones to avoid). Let’s face it, you never know who you’re going to end up being around, or who might end up in your house or car. And not every one of those people will be cool with your relaxing over a joint after a day's work. The wrong person smelling cannabis on you can cause you to lose your job or worse. Keeping air freshener in your house is a no-brainer, but what a lot of people forget is they should keep one in their car at all times too. Keeping your car from smelling like weed is SUPER important. And keeping a small can of air freshener to spray after any smoking sessions is the best way to keep it from smelling. If you are worried about how long weed smell will linger in your home, your car, or on your clothes, the answer isn’t as straightforward as you’d think. The good news is that weed smoke is a lot more forgiving than cigarette smoke. It takes a lot of diligent weed smoking to get a room smelling as bad as it does after only a few cigarettes. There are few influencing factors on the smell of marijuana smoke. The first is the environment. If you smoke in a room with a lot of fabric coverings, like curtains and bedding, the smell of smoke will stay in the soft materials. If you smoke in your car, the small space, and soft fabrics, also hold on to the smoke smell. The second influence is how you consume it. Methods involving incineration, like joints, blunts, bongs and pipes will also produce a harsher smell than vaping. Vaping is a better option if you prefer inhalable cannabis. The best way to reduce smell is to stick to edibles! The type of weed you choose will also influence the lingering aroma. Dank strains with tons of terpenes are going to stink up your space, while less potent strains won’t permeate so strongly. Generally speaking, in a typical living room a quick puff won’t linger. If you only smoke a bowl or a small joint, the odor should dissipate within a few hours. If you are more of a chronic smoker, dedicated to long smoking sessions, you’ll have to wait a few days. Over time, with continuous smoking, an underlying funk will start to build up in the room. If you want to avoid the ongoing struggle of fighting the stale smells, don’t smoke in the same room every day. It’s recommended to switch it up or smoke outside. You’ve got a few options if you want to reduce the lasting smell of weed smoke. One option is to smoke outside. Not always an option, depending on where you live, but if you can smoke outside, its a surefire way to prevent smoke particles from settling into your living space. Another great option, if you want t smoke inside, is to smoke somewhere with a fan. Underneath the range, hood in your kitchen, or your bathroom are great options. Light up, then turn the intake fan on high! Other indoor places perfect for smoking weed are garages, sheds, attics, and unfinished basements. Look for rooms without carpets, curtains, or bedding. The more fabrics lining the room, the more smoke will settle into the room. If you must smoke in the living room, consider purchasing a few handy smoker-eater devices. There are many ashtrays designed with the stinky smoker in mind. 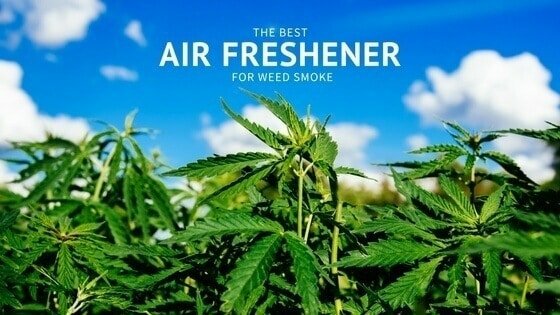 There are also odor absorbing cans, pots, and powders, which should help reduce the lingering dank smell of stale smoke. You can also resort to the jail-toker we all used in college. A jail toker is an empty toilet paper roll stuffed with dryer sheets. If you choose to smoke in your car, consider waiting until you can park it and get outside. Vehicles are a small space, covered from floor to ceiling in fabric and carpet. If you must smoke in your car, at the very least roll down the windows. Don't forget to stash your roaches in a sealed container. As mentioned, the good news is that a little puff now and then won’t stick around too long. But if you are anxious about any smells at all, you might consider moving to edibles or even vaping. Edibles, clearly, don’t smell like anything. Vaping produces vapor, not smoke, which means no smoke particles to settle over your interior. If you’re looking for a great spray that will eliminate smells, look no further than Ozium spray for weed. This stuff is simply the best when it comes to eliminating weed odor. It’s designed to attack airborne odors, and it also eliminates germs and bacteria. Now, this stuff is strong. And, if you spray too much you’re guests are sure to ask about it. Just a spray or two in the room that you just smoked in should do the trick. I love the design of the bottle because it is the perfect size to fit in your car door. It is pretty expensive, but, thanks to the current stigma surrounding marijuana, eliminating the smell is not something you want to skimp on. 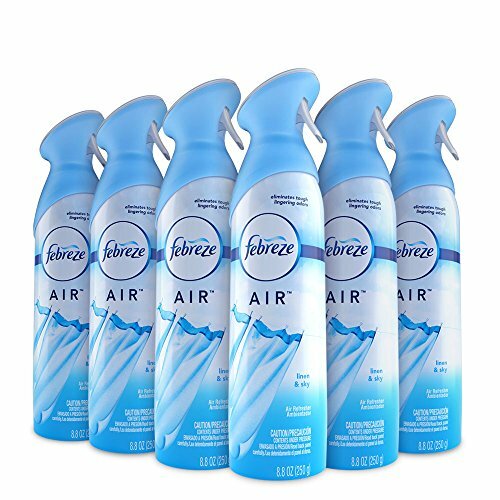 There are a number of benefits for using Febreeze as a weed odor eliminator spray. For starters, it’s one of the most popular air fresheners in the world. So, you’re able to find it at just about every store in America, and it doesn’t look as suspect as a can that says it’s made for marijuana. No one thinks twice when they see or smell Febreeze. It also does a good job eliminating the smell vs. just covering it up like a candle or incense would. Since it’s a name brand product, the price is one of the best around. Plus, there are tons of different scents, and they all work pretty well. When it comes to Ozium vs Febreeze, you really are splitting hairs. We give a slight edge to Ozium, but if you prefer scents, then you can't beat Febreeze. If for some reason you just don’t think that a standard air freshener is going to do away with the smell of weed, then so be it. This is a decent air freshener that’s made entirely with American made, all natural ingredients. It’s biodegradable and eco-friendly too. The bottle is smaller than most, but, since it has a strong odor, most sessions only require a spray or two to cover. And, since each bottle gets 250 sprays, it will last quite awhile. Overall, if you want an all natural choice you can’t get any better then THC. This is an air freshener that’s designed to work against cigarette smoke, but it does a good job with marijuana too. It uses a tea tree oil formula to eat away at airborne odors. You can even spray it in your curtains or car seats to freshen them up. It’s pretty pricey for what it is, but the small size does make it easy to carry with you or in the car. Now, this spray takes no shame in stating that it’s made entirely to help stoners get rid of the smell of weed. I mean, they have a skunk with dreads and a rasta beenie smoking a damn joint right front and center on their bottle. It felt weird even just typing that. I prefer a lot more discretion than what Agent 420 brings to the table. The spray itself is another all natural tea tree oil spray that works very well in removing the smell of marijuana. It’s not scented, so the smell can come off as a musty, woody smell—not the best, but not marijuana. It doesn’t make sense to take this with you in your car, so it’s going to be an at home air freshener only. While it does work well, you can get a much more versatile spray, that’s a little more secretive, for a better price. 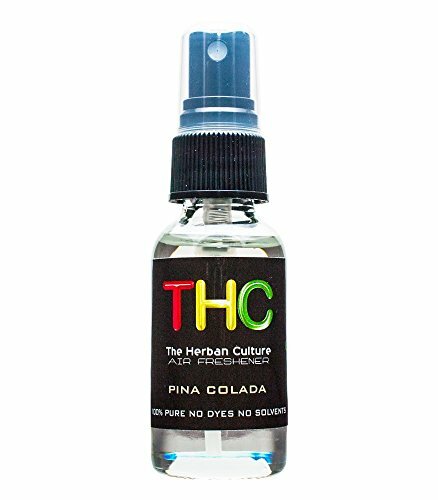 This little bottle of environmentally friendly spray is perfect for people who aren’t looking to be discreet about their weed smoking ways. The label has a beautiful and bold design of a cannabis leaf, which means if you pull it out or forget it somewhere, people might still realize you are a chronic. That said, it really works. The company has perfected its formula over the last 30 years, and this attention to recipe shows with the final product. It completely removes the smell of smoke after a quick session - all without the use of harsh chemicals and toxins. Cannabolish contains all natural ingredients, and the bottle is small enough to fit into a car door pocket or even a jacket pocket. It also is handy to keep in your suitcase for that unplanned hotel room toke, or in your purse for a lunch hour puff. Because the spray doesn’t overpower a room with fake scents, like other products, it's not apparent that you’ve sprayed it. Some products, while effective at masking the smell of cannabis smoke, just hide the smoke smell with another harsh odor. Cannabolish doesn’t mask; it eliminates. It's safe enough to spray directly on your clothing, or in your bedroom. It’s so environmentally friendly; you can recycle the bottle afterwards! 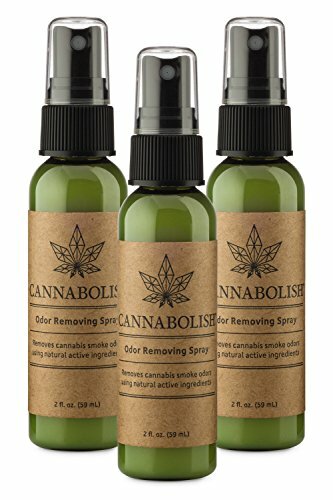 Why buy a smoke eating spray that wasn't designed with the cannabis smoker in mind? Can a cigarette smoke eater do the same job as a cannabis smoke eater? In our humble opinion, maybe not! 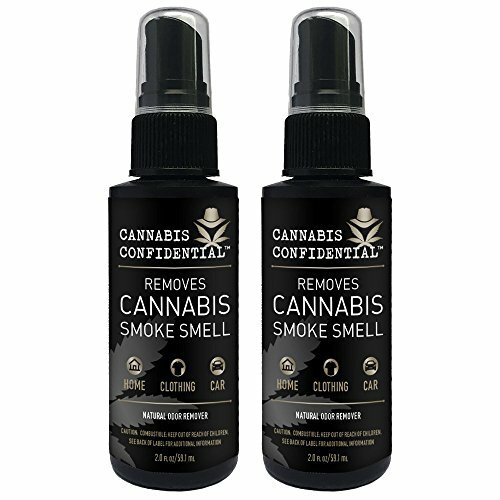 If you agree, you may want to look for cannabis-focused sprays like Cannabis Confidential. Right on the bottle, this product tells you it’s working on killing that lingering weed smell. It contains no nasty smelling chemicals, only natural scents. It smells subtle, nothing to overpower and burn your nostrils. Spray on to your clothes, your hair, even ion your skin, without fear of doing damage. It smells like a beautiful combination of rose petals and other florals, but again, its nothing like a cheap air freshener you’d hang in your car. Beyond the natural scent, it lists only a handful of other ingredients all focused on reducing the dank smell of stale cannabis smoke. 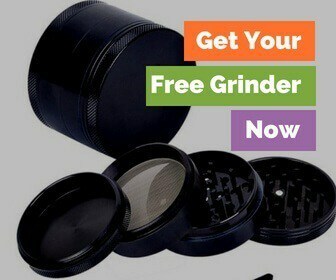 It comes in a perfect travel size format, for the smoker on the go. Stash it in your glove box, or your weed box - keep it handy when and where you need it! If you are vegan - good news! They've never tested the product animals. Do you have a chronic problem with stale marijuana smoke? Do you need a high-powered solution? 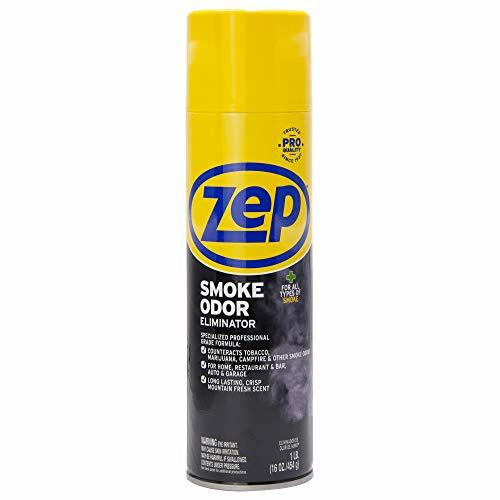 Zep Smoke Odor Eliminator was designed with you in mind. It’s perfect for the daily smoker, who smokes in their living room on the regular. It is is not a product for amateurs, its professional grade. It is an aerosol product, perfect for spraying into the air immediately after a big session. It will remove anything from cannabis smoke to wood smoke to cigarette smoke with its super-strong formula. Unlike the other products on this list, you might not want to spray this directly onto fabrics or leather. Spray into the air instead. It comes in a larger format, making it budget friendly! Keep stashed under your sink with the other cleaning supplies and no one will be the wiser, as it has very discreet packaging. The label doesn’t yell, “weed” like some of the others on this list. Sometimes when you use an aerosol spray or other odor-masking product, it’s worse than the first smell. Cannabis smoke smells stale, but a harsh chemical flower scent often smells worse. It’s like walking into a bathroom after someone has sprayed a room freshener. If this is an experience you want to avoid, invest in an unscented spray. Unscented doesn’t mean it’s less effective, however. 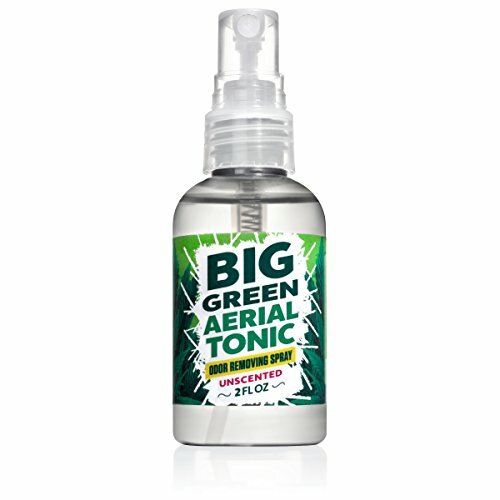 Big Green Smoke Odor Eliminator Spray proves that you can have a powerful smoke-eater spray, without an overpowering fake aroma. It also boasts a completely clear formula. This means, no oils, colors, or dies that can damage and strain your living room sofa fabric when used. It’s a perfectly discreet product, in a small travel size. It won’t draw undue attention if you store it in your car, or have it sitting on the table at home. Its label doesn’t give anything away, and most will only assume its meant for common odors - not the joint you just smoked. If you want to keep your weed smoking habit on the down low, do yourself a favor. Purchase a product that doesn’t smell like any chemical additives. You'll want to find a product which doesn’t have a huge weed leaf on its label either. Big Green Smoke Spray ticks all those boxes and more. It really is the solution you’ve been looking for to help hide your love of weed from your friends, family, and coworkers. 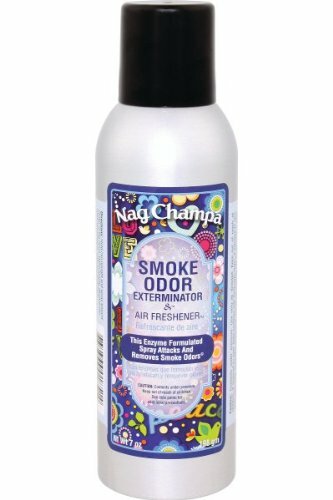 When you smell Nag Champa, what do you think about? A hippy haven, with tapestries hanging from the walls and incense burning? What about mulberry and spice? Does that make you think about Christmas time, and big family dinners? The important take away from these questions is that you don’t think about a big fat joint stuffed into an ashtray. That's the theory behind the Smoke Odor Exterminator series of sprays. There are four flavors available including Nag Champa, Mulberry and spice, orange lemon splash and patchouli amber. Each one works to reduce the lasting smell of smoke, and the mask the stank of an ashtray full of roaches. These are all non-aerosol sprays, and all made in the USA. The formula won’t stain clothes, or leave a residue on leather. It is safe to use within enclosed spaces like vehicles, and the bottle is small enough to store just about anywhere. As a bonus, it works on other odors beyond weed smoke because of its smoke-eating enzymes. From nasty pet odors to a piece of burnt toast - a quick spray will take the lingering smell away. And just in case you are worried about a harsh chemical smell, like something from a car air freshener, this product is subtle. You can spray it liberally in a room, without getting knocked over by a terrible smell. Remember, you never know who is going to pop up. You need to keep not only your persons but also your home and car from smelling like weed as much as possible. You don’t need to pay extra money for an air freshener that says it’s made for marijuana or has a bud leaf logo. I find that the best air freshener for weed is either plain Ozium or Febreeze. You can go with a scented air freshener, but, remember, laying it on too thick can be just as suspicions in certain circumstance. Do you have a favorite air freshener? We’d love to hear about it in the comments below or on our Facebook.